Kia Motors’ SP Concept compact SUV, which made its global debut at the New Delhi Auto Expo 2018, has garnered a lot of attention and will be the first model from the brand to hit Indian roads by mid-2019. We cannot wait to see the final production ready variant, and ahead of its arrival here is a speculative rendering. The Tusker is based on the SP Concept and the design is very close to the original concept we saw at the Expo. The sleek LED lamps and the headlamp have been retained and the wide grille with chrome linings give it a bold look. The blacked-out A-pillars are something we have seen both on Maruti’s Vitara Brezza and the Hyundai Creta, and work well to act as a design break which is easier on the eye. Blackened wheel arches and roof rails add to the rugged off road feel the car is trying to express. The design is completely in sync with Kia’s statement that the production version ‘will be very close’ to the concept. The Tusker will most likely be powered by new age diesel and petrol powertrains which will be BS-VI compliant. The diesel engine is expected to produce 115 bhp and 250 Nm of torque, while the petrol engine could be a 1.5 litre unit which may be used in a hybrid powertrain in the future. 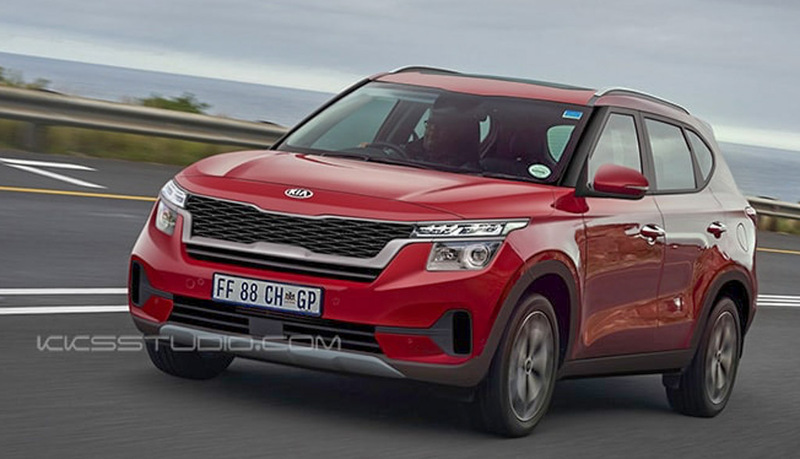 KIA is expected to build the SUV on an updated version of the Creta platform and will be manufactured at the company’s Anantapur plant in Andhra Pradesh. 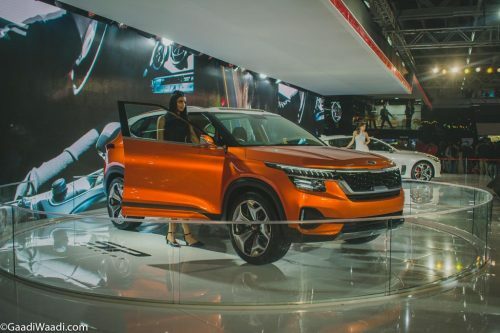 KIA has confirmed that it does not plan to get into a price war with Maruti Suzuki and Hyundai, so we expect prices of the Tusker to be higher than its cousin, the Hyundai Creta.